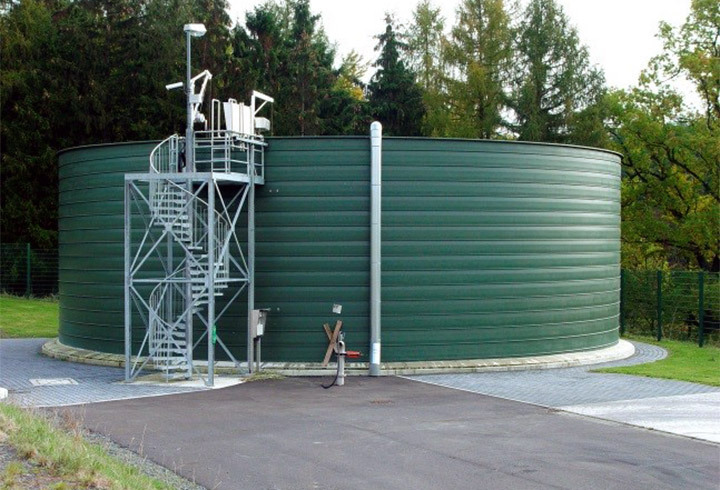 In the municipal sector, the focus is on the production of biogas from sewage sludge. The aim is to make the energy potential of the primary and secondary sludge from anaerobic sludge digestion usable. On the one hand heat and electrical power is obtained for operation of the sewage plant. On the other hand, the sludge is conditioned so that the other aerobic process stages can run more efficiently and thus more cost-effectively. The Lipp KomBio reactor has established itself as an ideal solution in the municipal sector due to its construction and long service life and has been successfully installed in hundreds of plants at home and abroad. 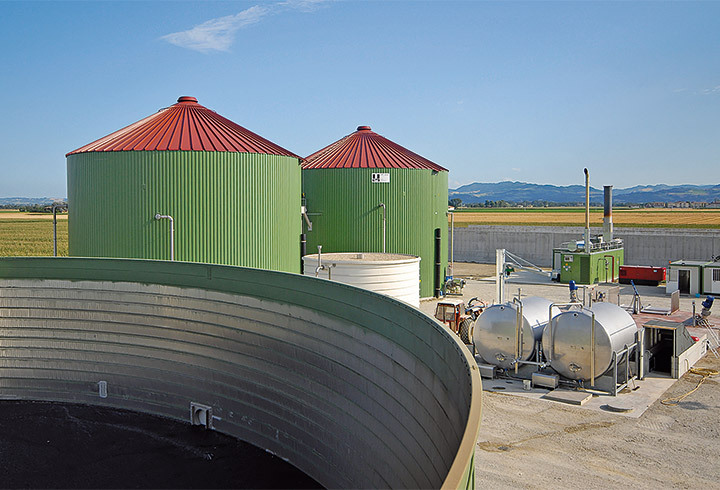 Thanks to the application of the SBR process in our digesters, and the tank geometry and construction, it is possible to make optimum use of the low energy potential of the sewage sludge and operate sewage sludge digestion economically. The high degree of flexibility in diameter and height and the small footprint for installation are great advantages to existing plants. The easy integration into existing systems and the mixing and pumping technology specially adapted to sewage sludge and the low energy consumption make the Lipp KomBio reactor the heart of an anaerobic sludge digestion system. As well as the high quality, end customers and engineering offices alike appreciate Lipp’s process expertise and close, professional working methods. In addition to individual planning and timely installation, the service package is also rounded off by extensive tank inspections. Depending on customer requirements, Lipp offers its partners support in the preparation of necessary planning criteria such as design, heat and energy calculations etc. 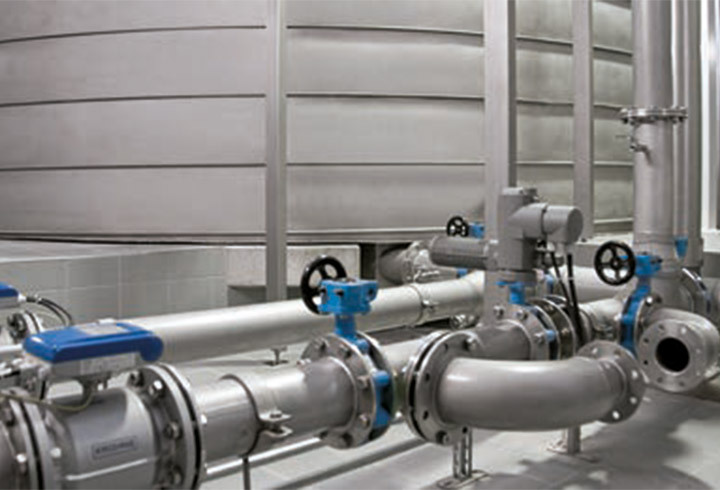 Lipp’s objective is to be the most reliable partner for municipal sewage treatment plants and for engineers for municipal waste water treatment and sludge digestion. To achieve this, in addition to the product quality, the professional, timely and economical completion of projects is constantly being improved. In order to work with end users and engineering offices as effectively as possible, the technical process expertise is also being constantly expanded by the ongoing qualification of employees and high investments in research. Thanks to the understanding of upstream and downstream processes thus acquired, Lipp engineers are able to develop the best solution for each individual application and implement it successfully together with the customer. Regular certifications are standard today, e. g. in accordance with § 19 WHG and DIN EN 1090 and health and safety systems. Lipp is therefore working continuously towards further qualifications, including ISO 9001, OHSAS and a globally recognised environmental management system. 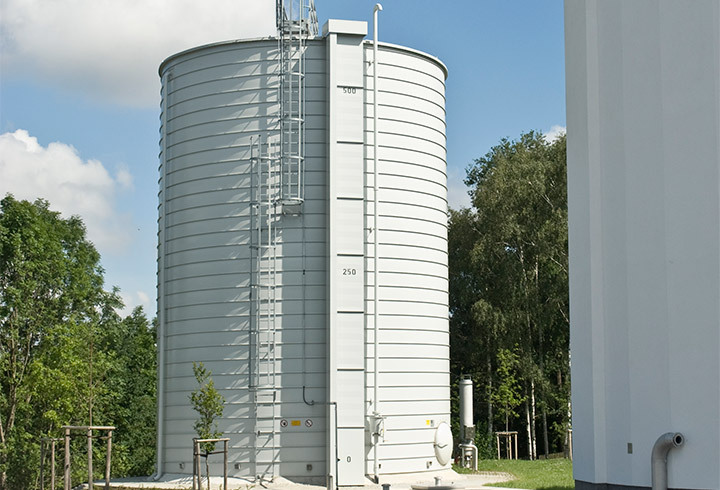 Whether sludge digestion in small municipal waste water treatment plants in Germany for 10,000 inhabitants or on large industrial waste and sludge digestion plants in England, China, etc., the Lipp KomBio fermenter from 100 m³ up to 2500 m³ has established itself as an economic and technically mature system solution. 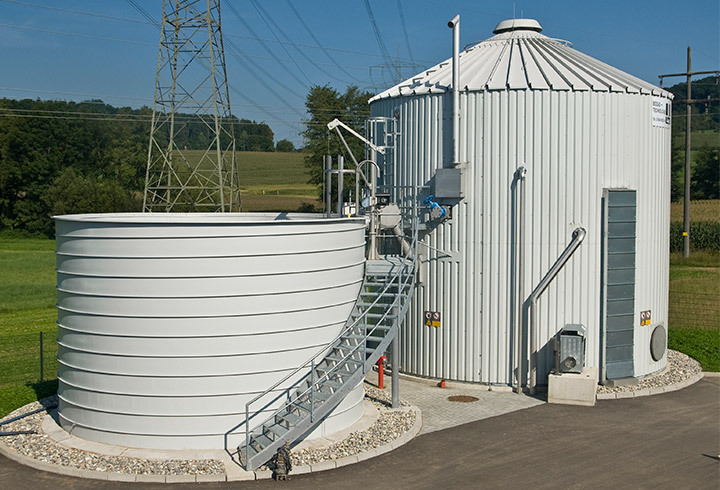 Due to the unique tank technology, the economic assembly and patented accessories and a finely tuned process, sewage sludge digestion is becoming attractive for very varied project sizes. The high process reliability and durable construction in particular ensure long lasting economic operation far beyond the amortisation period. Since the Lipp system is suitable for other process vessels as well as fermenters, on many plants fully harmonised systems have often been installed, including upstream and downstream containers.